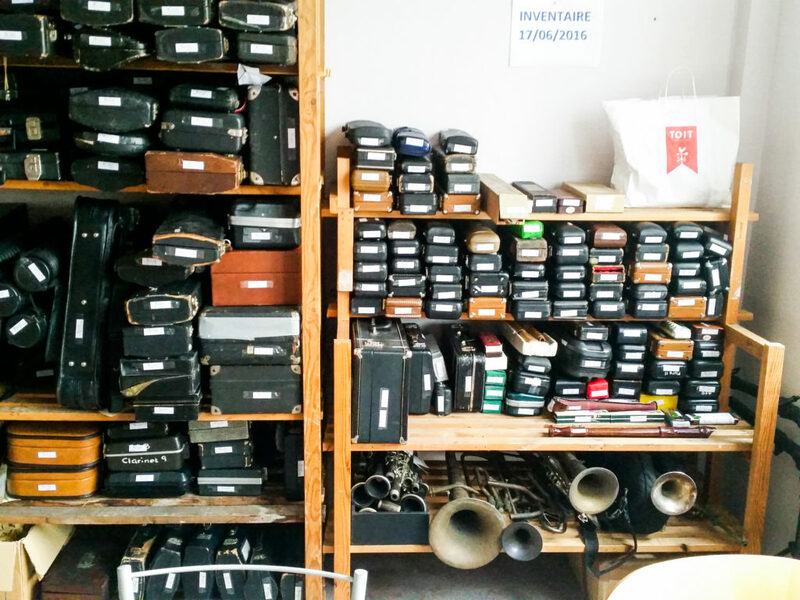 Thanks to the support provided by the city of Marche-en-Famenne Music Fund has been able to settle down in the heart of the Belgian Ardennes. The city council offered us a beautiful place where we could set up 2 repair workshops: one for guitars, the other for wind instruments. It is also in these workshops, beautifully situated in the centre of Marche, that we train our interns. These come both from Belgian lutherie trainings as from our partners in the South. 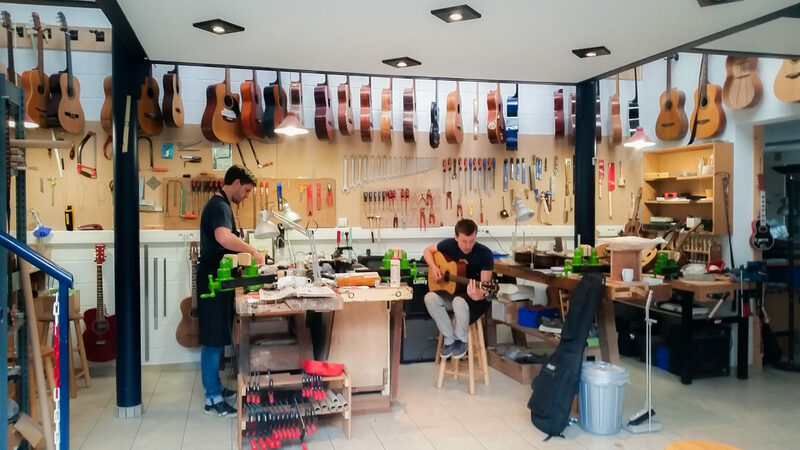 During their internship, our guests stay with inhabitants of Marche, thus not only building musical instruments, but also relationships with Marchois. 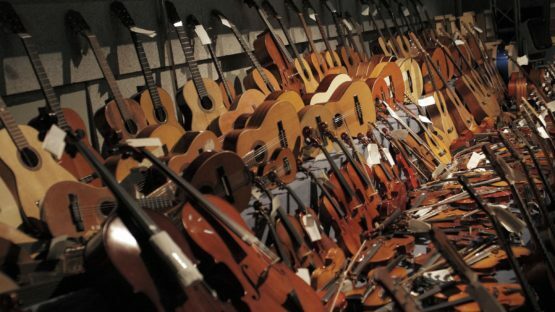 In these workshops in Marche most of the wind-instruments and guitars are repaired that are shipped to our partners all over the world. Als the logistics regarding the transport of the instruments is coordinated from Marche. 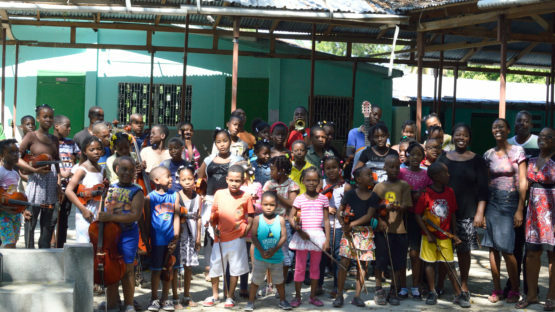 Our storage warehouse is located in the neighboring community of Jemelle. 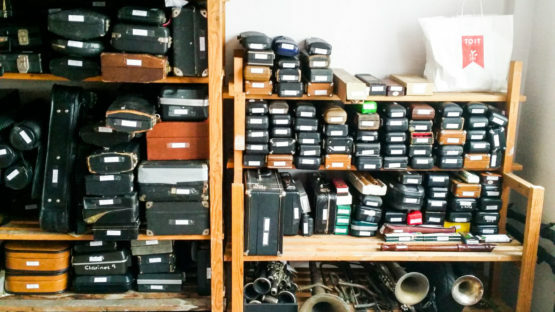 There, in a building made available to us by the company Lhoist, more than 1,000 instruments await repair and shipment in perfect conditions.